While the level of returns achieved by your managed fund is vital, there is evidence that fees can have a substantial impact on returns over the long-term. Fees are also payable when the fund makes a loss and can be the difference between a positive return and a negative return. Contribution fee for the initial and every subsequent investment made to the fund. This fee can be 4% to 5% of funds invested and is usually paid to the financial adviser. If there is no financial adviser the fees are retained by the fund manager. Ongoing fees which is the total of all ongoing administration, investment management, expense recovery and other fees charged by the fund. 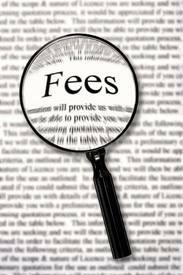 These fees in aggregate are typically referred to as the Management Expense Ratio or MER allowing a comparison between funds. The MER can vary from as little as 0.5 percent (on a cash fund) to 3% (on a international share fund). Switching fee charged when switching between investment options offered by the fund. Not normally applied these days. Withdrawal fee charged for each withdrawal made from the fund (including instalment payments and the final payment). Generally charged in Nil Entry funds when withdrawal takes place within 3 to 4 years. Termination fee applies when closing an account with the fund. Not usually a consideration nowadays. Performance fee is a fee charged by the manager in some funds if they meet or beat pre-determined targets for returns. So if the fund outperforms a benchmark such as a share market index, the manager will get a share of the out-performance. Adviser service fee is charged by an adviser for ongoing investment advice. Buy/sell spread is the duifference at any point of time, between what the fund is buying units at and what it is selling units at. Note that advisers may also receive trailing commissions. These trailing commissions or trails typically range from 0.4 per cent of the value of the investment up to 1 per cent. The trails are paid to advisers so they can continue to provide on-going advice. From 1 July 2013, trailing commissions on new products are banned, but they may still continue on existing investments. Some advisers now charge an extra Service Fee as well. Product Disclosure Statements fail to provide a straightforward and reliable means of assessing the merits of a fund and comparing it with others. They appear to be presented for the purpose of protecting the issuer from liability with little thought for the reader. Indeed it almost seems as if the issuer, by presenting huge amounts of tortuous legalese, seeks to discourage the reader. Certainly discourage the reader from making the effort necessary to discover exactly what the fees are. In our opinion no more than ten pages should suffice to give a prospective investor the good oil on a managed fund. There should be a standard presentation of all fees and costs in every Product Disclosure Statement. For the meantime we can only suggest that you at least examine these documents and seek clarification from your adviser or the product issuer where necessary. Small differences in both investment performance and fees and costs can have a substantial impact on your long term returns. For example, total annual fees and costs of 2% of your fund balance rather than 1% could reduce your final return by up to 20% over a 30 year period (for example, reduce it from $100,000 to $80,000). You should consider whether features such as superior investment performance or the provision of better member services justify higher fees and costs. You may be able to negotiate to pay lower contribution fees and management costs where applicable. Ask the fund or your financial adviser.